View More In Feminine Hygiene Products. 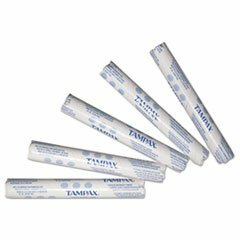 Reliable tampons from a trusted brand provide absorbency and comfort. Individually wrapped tampons increase restroom cleanliness and hygiene. Tampons are prepackaged in vending tubes for easy dispensing. Absorbency: Regular. If you have any questions about this product by HOST500, contact us by completing and submitting the form below. If you are looking for a specif part number, please include it with your message.